When a community comes together, it’s amazing what they can accomplish! The MOMS Club of Albuquerque-Volcano Vista, NM, was inspired by the fantastic range of service projects done by other chapters across the country. They decided they wanted to be more involved in their community this year and wanted to perform more service projects as a way to give back. And they had a great time pulling together a successful event in October — a Fall Festival! The chapter wanted to raise money and food donations for the local food pantry Roadrunner Food Bank of New Mexico. So the chapter organized a Fall Festival where they built, organized, and ran 12 carnival games, a cakewalk, a raffle, a bounce house, and face painting. They also had a food truck come and invited 12 local businesses, churches, and preschools to participate and run their own activities. They handed out prizes to all the kids in attendance at every station. Every attendee was asked to bring either one dollar or two non-perishable food items per child. And wow, did it all add up! The chapter was able to collect 140 pounds of food and $105 cash for the food bank from this event. Not only that — the event was a fantastic way to bring the community together and showcase the community involvement of the chapter. 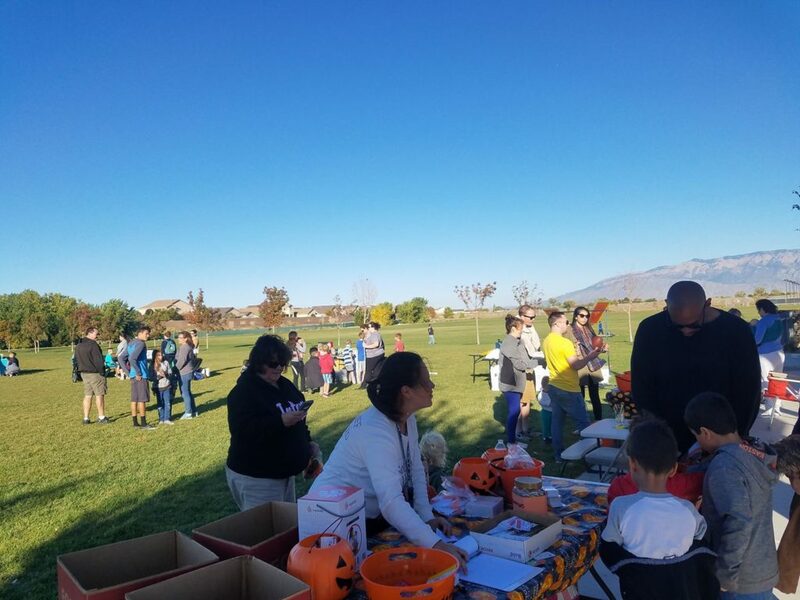 Over 100 children participated in the games and a total of almost 200 members of the community attended — and what they saw was a MOMS Club chapter making a real difference right in their neighborhoods. Due to positive feedback and popular demand from the community, the chapter is already planning a similar event for the spring — best of luck ladies, and very well done!